CMS GlobalSoft offers various maintenance plans which can be scaled and customized to meet each client’s unique needs. Some clients require 7 x 24 support; others require unlimited support calls only during normal business hours. Additionally, and perhaps most importantly, some users have various U.S.-based sites while others have sites worldwide. We will work with your organization to determine which level of support is best suitable for your needs. 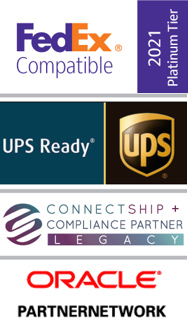 No matter where you deploy CMS WorldLink Lite -- be it China or New York -- we can provide numerous tiers of support based on your specific requirements and needs. Some clients are far more intimately involved in their logistics technology infrastructure than other clients. For these very hands-on customers, we support their lead during upgrades or pre-planned events. Please contact us with any question you may have regarding our maintenance and support levels. We will respond to your inquiry within 1-3 business days.